A File manager is probably one of the most used apps on Android smartphone, and the Google Play Store is filled with a ton of File Manager apps, each having its unique features. A File Manager gives you access to all your files like documents, videos, app files, pictures, etc. via a single app. It seems like Apple too understood the importance of a File manager on the phone, so that’s why iOS finally got its File Manager this year via the iOS 11 update. 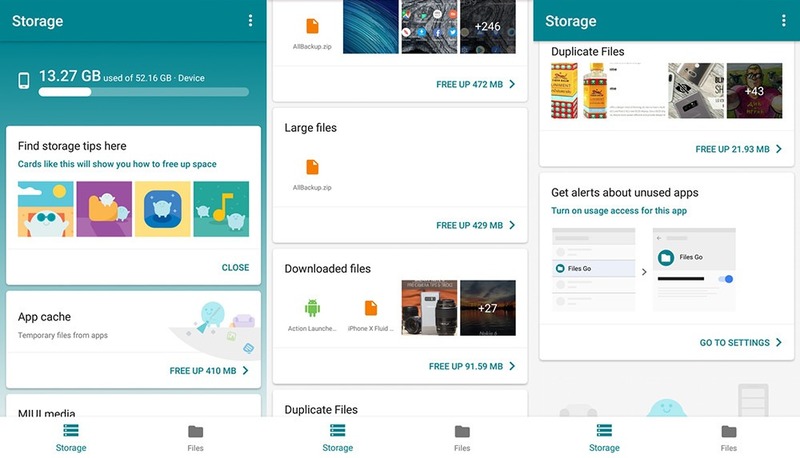 Anyways, seems like Google is all set to launch its File Manager app named ‘Files Go.’ Today, the app was made available on the Play Store as ‘Unreleased’ but soon, it was taken down for some unknown reasons. Helping you manage storage smartly and keep your phone clean and organized. Help you free up more space in much more ways than before. Google has put its smart at work on your phone, all of it packed in a light app under 10MB. Well, Google might have pulled the app down from the Play Store, but the Files Go APK file is now available to download, thanks to the online APK repositories like APKMirror. To Download the latest Files Go APK, tap or click the button below and you will be taken to the APKMirror page that provides the latest version of the app as soon as it is made available.